Last week a uniquely honest and humorous fundraising letter was sent home to parents from the PTO at their students’ middle school. The letter went viral (it was shared close to 200,000 times, last I checked) within just a few short hours, and the comments made were overwhelmingly positive. As the mother of a third grader and a first grader I absolutely understand why so many parents have praised the letter and the alternate style of fundraising it outlines. Regardless of our children’s ages, we are busy. Overwhelmed. Frustrated, even. Many of us feel like homework, sports practices, music lessons, church activities, and social events have taken over our lives, leaving little time and energy left for family and absolutely no time and energy left for the “extras” that often accompany school. Parent Teacher Organizations/Associations have, over the years, gained a less-than-favorable reputation for attempting to squeeze every last cent out of their schools’ already over-extended parents. I don’t doubt that a handful of these organizations deserve this reputation, but others have been branded with it unfairly. The PTO at my children’s elementary school, on whose board (disclaimer) I serve, will hold three true fundraisers this year. With the money raised, we pay for, among other things, field trips, alumni college scholarships, guest speakers, school-wide family events, staff appreciation, teacher grants to fund classroom materials and equipment not covered by the school or district budget, and a number of special projects like playground upgrades, auditorium sound systems, and literacy libraries. The school could operate without PTO, but the education, opportunities, and experiences available to our students would look considerably different. We choose our fundraisers carefully. Our first and biggest fundraiser focuses on character development and physical fitness. Yes, it’s a “thon”, as in the kids collect pledges to run laps, but the preparation for doing so involves so much more than talking about raising money. These kids train for the run, and along the way they learn about responsibility, kindness, perseverance, honesty, and respect through the character lessons provided by the program. share in their excitement while simultaneously supporting their school. Our second fundraiser is a ~dreaded~ product fundraiser. We run this fundraiser eight weeks before the holiday season with the honest goal of making parents’ holiday shopping a little easier. We also change the product sold every year, so that if you purchased candles and candle warmers for your family members and friends last year, this year you can gift them personalized tumblers. Our third fundraiser is run entirely in-house, meaning PTO receives 100% of the money donated. It is another “thon”, but this time, instead of focusing on character development and physical fitness, we focus on academics in the form of a spell-a-thon. Our students work diligently to learn their grade-level words and then spell them correctly on a spelling test, knowing that their hard work directly translates to support for their school. So yes, three fundraisers a year. 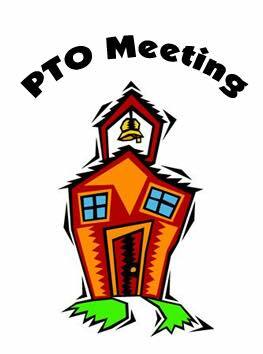 But PTO also hosts additional in-school and community events – movie nights, math and literacy events, and talent shows – that don’t involve asking parents to donate toward the PTO budget. Many believe these organizations exist just to raise money, but the presence of these PTO-driven, non-fundraising events prove otherwise. We (PTO) want school to feel welcoming and inclusive to everyone. Students should of course want to come to school, but parents should also feel comfortable visiting the building and joining the team of administrators, teachers, specialists, and volunteers helping make education and experiences happen at school. PTO asks parents for help not just because the organization needs help, but because the organization wants parents to know they’re welcome. I’ll be the first to admit that the fundraisers I mentioned above – along with every other fundraiser out there – have their flaws. But the PTO does its absolute best to make fundraising easy for parents. You’re probably thinking, “if you want easy, go with the alternative fundraiser”. And we just might, if raising money were the only goal fundraisers aim to accomplish. “Make a donation now, in whatever amount you feel your school needs and can financially afford at this time, and we promise to leave you alone for the remainder of the year.” In all likelihood, most PTOs could meet their annual budgets going this route. But we (PTO) also want to help children learn how to combine forces toward achieving a common goal. After all, not every problem or deficit can be solved simply by Mom or Dad writing a check. By involving children in the fundraising process – training for the run, practicing the assigned spelling words – they begin to understand, even as kindergarteners, the positive impact they can have on their school. They learn that individual and team-based hard work make a difference. The fundraising letter was shared with the best of intentions, and my co-PTO Board members and I loved it. We sent it back and forth and laughed about all of the silly bullet points and dollar amounts we could include if we sent such a letter to our parents. Please understand that this post is also shared with the best of intentions, to help parents understand why we (PTO) do what we do, why we give what we give, and why we don’t just ask you for the $75 you would have spent on a dress for our Frozen-themed gala. Oooh, now there’s an idea…watch for a Frozen-themed gala, coming soon to an elementary school near you. A special thanks to MomsEveryday for helping me share this post.